Kang Yu, Ai Zongyong, Duan Kui, et al. 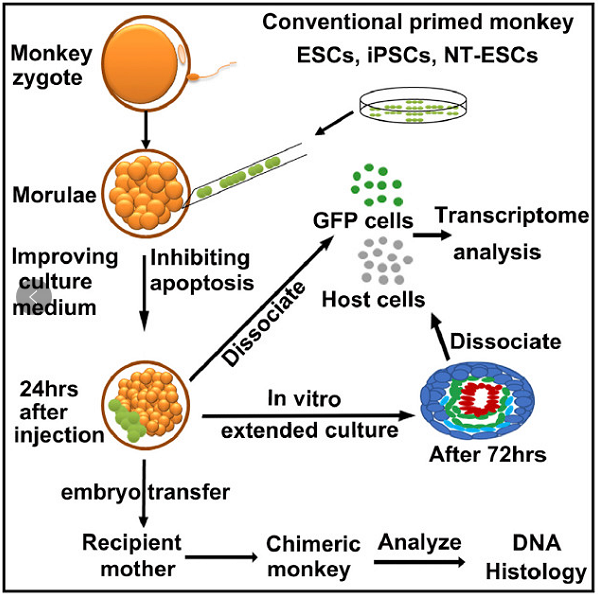 Improving cell survival in injected embryos allows primed pluripotent stem cells to generate chimeric cynomolgus monkeys[J]. Cell Rep, 2018, 25:2563-2576.e9. Liu Xiao-Man, Yan Ming-Qi, Ji Shu-Yan, et al. Loss of oocyte Rps26 in mice arrests oocyte growth and causes premature ovarianfailure[J]. Cell Death Dis, 2018, 9:1144.